A garage door system is just like any other type of mechanical system which requires regular maintenance in order to perform at it best daily. Such regular maintenance include but not limited to lubricating and cleaning properly the hinges of the garage door, the rollers, and the track as well. The first step in a garage door maintenance is inspecting and cleaning the garage door track. It is important to know that using water for this type of garage door maintenance is not recommended as well as other types of chemicals. The reason for that is mostly because using those types of solvents (water or chemicals) will cause build up and may harm the functionality of the system. The right way to clean the garage door track is first to make sure you clean spider webs, insects nests to make sure no dirt and debris will accumulate and clog the tracks and wheels. Normally, spring is the best time of the years to do maintenance on your garage door since after winter, the garage will most likely be contaminated from dirt and grime brought down from the wintery roads by your vehicle. 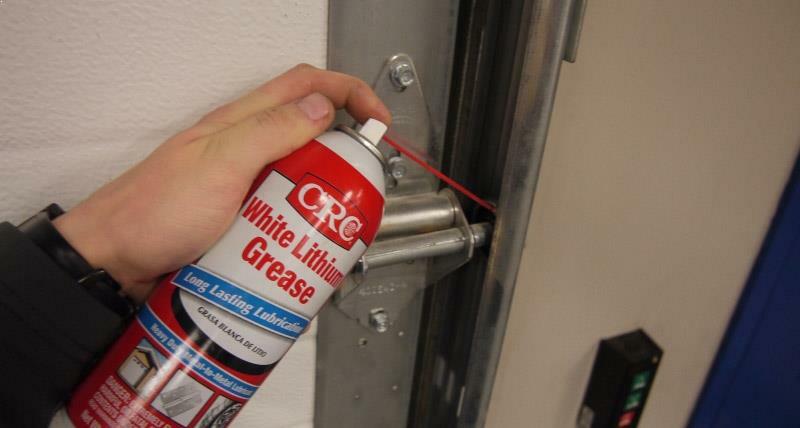 After you made sure the garage door track is clean, the 2nd step would be doing the lubrication. There are several components in the garage door system that will require lubrication such as the hinges, roller, track and the garage door springs as well. You should only use very light coating of lubrication and use only silicon based lubricant. Other types of lubricant may attract dirt and debris. In any case where you are not sure about doing garage door maintenance by yourself, you can always contact a professional garage door repair Spokane service company. A garage door technician will come and make sure your garage door is fully operational in addition to the maintenance provided.